Community Consolidated School District 46 serves 3700 students in grades Pre-K through 8, in seven schools across the district. Every one of these students comes to school with a different set of academic, developmental and social emotional abilities, strengths and needs. Each student has a variety of experiences navigating peer relationships as they develop. The challenge of any school is to help shape that development in a positive manner. When it comes to the social/emotional development of its students, the School District takes a comprehensive approach. District 46 does not tolerate bullying behavior and takes complaints about student conduct seriously. Our approach to addressing student behavior starts at the top with the Board of Education. The Board has enacted policies prohibiting bullying, harassment and discrimination, which set forth the expectations for student behavior, as required by law. These policies can be found on our district website at www.d46.org/boe/boeother/boepolicymanual-091515.pdf. 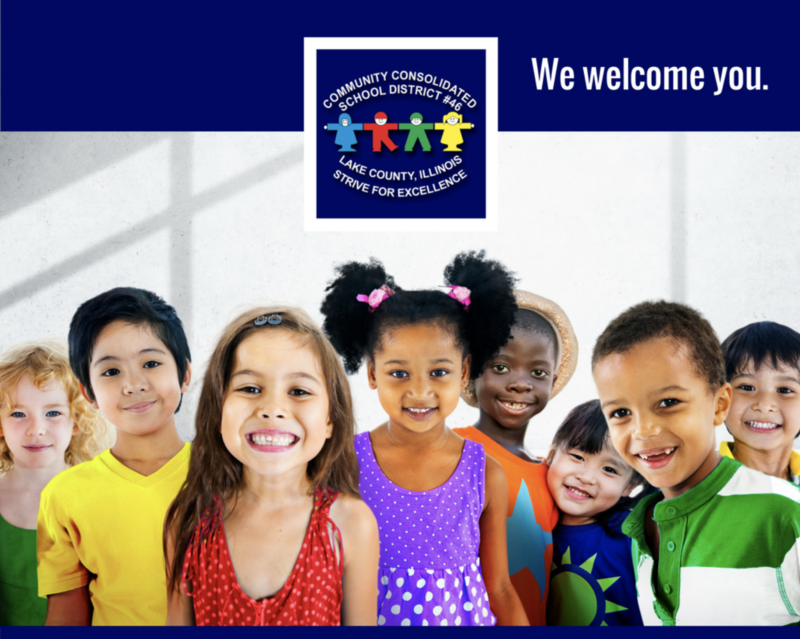 The CCSD 46 Board of Education has gone beyond the requirements of the law by adopting a Diversity Policy announcing its support for students of diverse backgrounds and abilities, and among other priorities, the creation of safe environments for learning and relationship building, and the rejection of actions of hate, intolerance, fear and disrespect. The Diversity Policy is supported by an active Diversity Committee charged with discussing issues of equity and seeking solutions to problems confronted by the school community which inhibit the development of mutual tolerance of and respect for differences. More information about the Diversity Policy, Diversity Committee, and resources for teachers and the community can be found on our website at www.d46.org/diversity.asp. The expectations of the Board of Education, as announced in its Diversity, Anti-Bullying, Anti-Harassment, Anti-Discrimination, and Student Behavior Policies are implemented at the school building level in a variety of ways. Teachers utilize classroom management systems focused on mutual respect. Every school implements the Positive Behavior Interventions and Supports (PBIS) System, which shapes student behavior on a school-wide, grade-level, classroom level, and individual student basis, through clear behavior expectations that are taught, modeled, and reinforced. More information about PBIS can be found in the Student Handbook www.d46.org/pdf/studenthandbook1819.pdf. A District committee is currently developing plans for a district wide implementation of the Illinois Social/Emotional Standards on a consistent basis. Despite our multi-faceted approach, sometimes instances of poor social interactions or bullying occur between students. When they do, it is important that the student and/or the student's parent reports the incident to the school as soon as possible to enable a more effective response. Teachers have provided information to their students about the need for reporting instances of bullying, and how to do so. Information is also provided in the Student Handbook and in Board policy. The student, or any other students who have witnessed the event, share that information with building staff. CCSD 46 has a process for investigating complaints about bullying, and the scope of that investigation will necessarily depend on the nature of the complaint. School administrators will collect information from as many sources as possible to understand the situation and determine an effective response. The parents of a student who is the target of a bullying incident are actively involved in this process. District 46 has a variety of interventions available to respond to incidents of bullying. These tools include, but are not limited to, individual counseling for students demonstrating bullying behaviors, individual counseling for students who are the targets of bullying, group education activities, implementation of behavior plans, special education services for students whose behavior is disability related, and when necessary, the imposition of disciplinary consequences. The response to a specific incident of bullying may include a combination of several interventions. Even when an incident of bullying cannot be confirmed through an investigation, the School District may implement additional educational interventions for individual students, or small or larger groups of students. Counseling services and accommodations can always be provided to a student who is a target of bullying regardless of whether the incident is able to be confirmed. Based on privacy laws, we can not share what interventions are implemented. Shaping and managing student behavior is an important but challenging effort. We take all complaints about bullying and harassment seriously, because such conduct is not conducive to a healthy school environment or students' social/emotional development. The Board of Education, Administration, and all employees of the School District will continue to work hard to improve the educational environment and promote student learning. Help cure childhood cancer - Donate Now! © 2018 Community Consolidated School District 46. All rights reserved.